Wash and grate the carrots. Blanch and shred the half of the almonds. In a deep thick bottom vessel pour milk to boil and when it starts boiling, add the carrots. Cook on a low flame for 1 hour stirring occasionally. Add sugar, mix well and cook till the sugar has dissolved and all the milk has been absorbed. Add ghee and simmer for 2-3 minutes. Add the slightly crushed cardamoms and the almonds. Mix well. 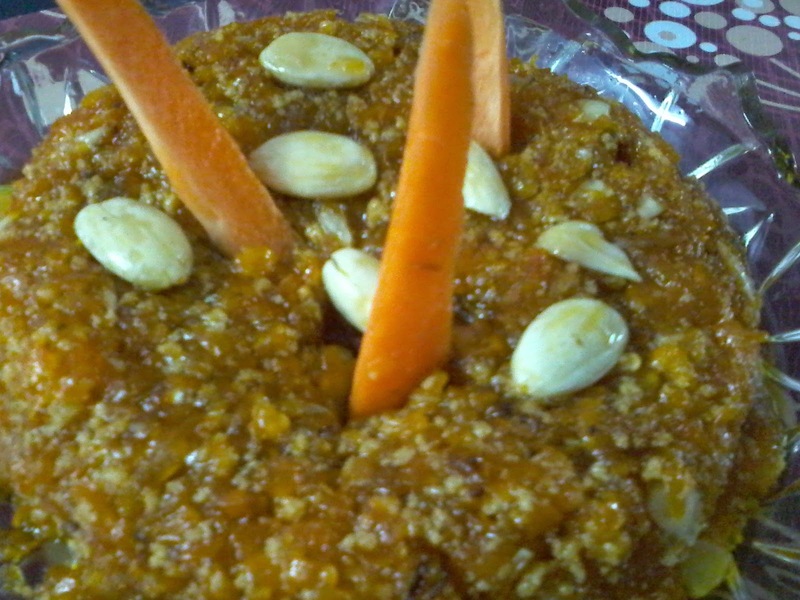 Remove the carrot(gajjar) halwa from heat and arrange in a serving dish. Garnish with almonds . Serve cold, hot or at room temperature.